Documentation is an essential component of any manufacturing facility, as is staying organized on the factory floor. However, all those order forms, operating procedures, invoices, reports, employee records, and compliance documents can overwhelm your staff in no time. What you end up with is an organizational meltdown in which the first casualties include productivity, motivation, and even information security. As a manufacturing facility, the shop floor depends on you to get their products to them in a timely fashion. Unless you can do that almost every time without a hitch, customers will be unhappy, partnerships will fail, and your facility will likely be the one to suffer most. Furthermore, your workers will be extremely frustrated when they can’t do their jobs just because they’re waiting for an important document, such as a revision notice, approval or updated schematic. Document management is all about streamlining workflows by providing a repository that keeps all documents in a centralized, web-accessible location. That means no more waiting around for people to email or manually exchange important files. In fact, with the help of Papersave, manufacturing companies like Comfort Research were able to save over $62,000 every year just by digitizing their approval processes. Much like many other businesses, manufacturing companies tend to get through vast amounts of paper to the extent that workers often end up spending far too much time navigating their ways through reams of documents to find what they need. This puts a serious dent in productivity while also leaving you more exposed to data breaches. Handling and retaining large archives of physical documents is also costly. Going paperless isn’t just for cutting-edge tech companies. Document management also helps manufacturing facilities greatly reduce dependence on printed documents while also using scanning and OCR technology to convert prints into digital form. You even eliminate the need for file cabinets like this food distributor – the Zidian Group, a PaperSave client. After spending large amounts of time searching through multiple filing cabinets or digital storage devices for a particular document, you finally find what you need and, to ensure you don’t misplace it again, you make a copy for safekeeping. Now that you have the document stored in multiple locations, however, there’s another problem – version control. How do you know that your copy is the most recent one? You could end up, for example, spending huge amounts of resources manufacturing a product following an obsolete schematic! Thanks to its centralized approach, document management provides full control over versioning. Furthermore, you can track changes and archive older versions to ensure you can revert any changes whenever necessary. Many industries are subject to strict compliance obligations, and failing to meet them can lead to severe damage to your reputation as well as hefty fines. However, if you don’t have a centralized system and standardized procedures for handling all your documentation and correspondence, it will be much harder to enforce your security and compliance protocols. 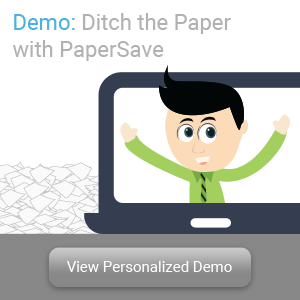 With Papersave, you can easily implement universal security and compliance measures by setting permissions and maintaining complete control over document versioning, archiving, and record retention. Strong teamwork is at the heart of any successful organization, and manufacturing is no exception. However, if you’re handling content over multiple channels and using different systems to share information, your workflows will suffer due to the lack of collaboration between employees, customers and business partners. Document management ensures that everyone has access to the same information whenever they need it. For example, real-time co-authoring allows multiple parties to work on the same documents at the same time, while comment and review features let people provide their input without having to meet in person or manually exchange information. The age of digital transformation isn’t just for technology startups and enthusiasts. It’s for any business that wants to keep up in today’s market, and that includes manufacturing facilities. 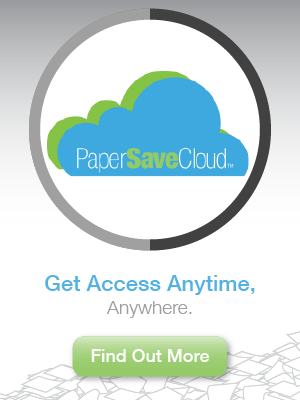 If you’re ready to improve efficiency, PaperSave provides the tools you need to adapt and thrive. 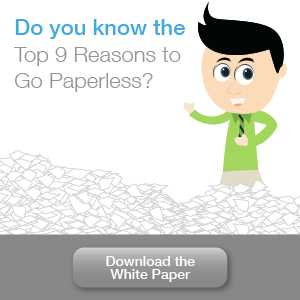 Download our free white paper: Why you need document management systems, today!